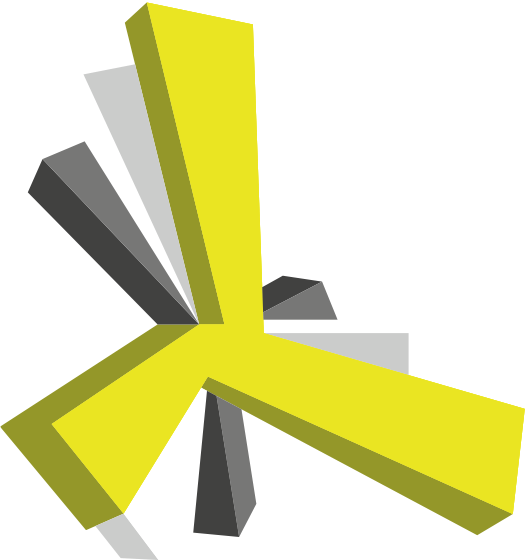 In Propeller Ads we understand the value and peculiarity of each unique campaign. That is why we would like our partners to benefit as much as possible by running a flexible approach to the pricing models. You can choose the most advantageous option for each campaign individually and choose one of four available pricing models for our advertisers: CPM, CPC, SmartCPM and SmartCPA. Let’s review all four models so that you can choose the most suitable one based on your campaign’s goals. The CPM pricing model stands for cost per 1000 impressions of ad. This pricing model should be chosen if you would like to pay only for amount of impressions. You can launch either a CPM or a SmartCPM campaign. A CPM campaign is a perfect choice if you are a newcomer in the advertising business. Traditional CPM bidding implies the same price for traffic from all placements (zones) which fits an ad campaign targeting. SmartCPM pricing model is based on an algorithm that automatically finds the best possible prices for each ad placement and sets bids for you 24/7. It is a perfect option if you would like to create a fully-optimized campaign because performance of various placements may vary dramatically for a particular campaign but you will be in control of that. SmartCPM pricing is a good choice in case you would like to be in control of the outcome of your campaign. Please refer to this article about how the SmartCPM algorithm works. 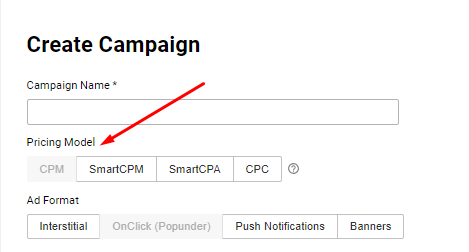 Running SmartCPM campaign, you can also try our new feature - CPA Goal. It is an automatic optimization of SmartCPM campaigns performed according to the required price per conversion. An advertiser sets the desired price per conversion, and the system automatically adjusts the bid, while indicating how each zone is performing. With CPA Goal you are getting campaigns optimized to drive conversions at a certain cost; automation without manual interference and spending extra money on traffic that is not effective or too expensive. To learn more about CPA goal, please check this article. Another bidding model is CPC. You will get charged only when someone clicks on your ad. It is also one of the most beneficial bidding models for advertisers who know exactly how much they are willing to spend. This way, you are getting full control over your budget. In other words, with CPC you spend your campaign budget only on impressions that lead to clicks. When a user clicks on your ad, they’re taken directly to your website, where they can be converted into a customer. If you want to run a performance-based campaign and pay for conversions, you should initiate a SmartCPA campaign. SmartCPA is an auto-optimized performance (Pay-Per-Conversion) marketing solution that focuses on driving actions along with the complete control, transparency, and flexibility of a self-service advertising platform. You can learn more about SmartCPA campaign here.